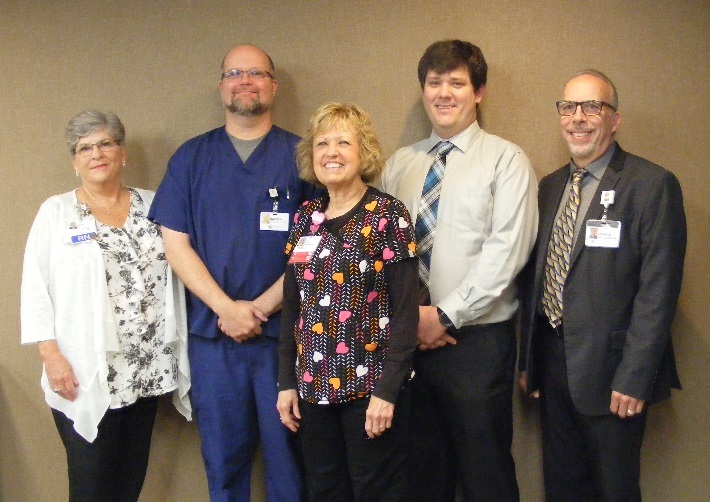 Five Covenant Health employees were named recipients of the 2018 Cardiac Services Excellence awards in recognition of their exemplary care of heart patients, outstanding performance in cardiac services, and demonstrating Covenant Health’s Standards and Behaviors and Pledge of Excellence. 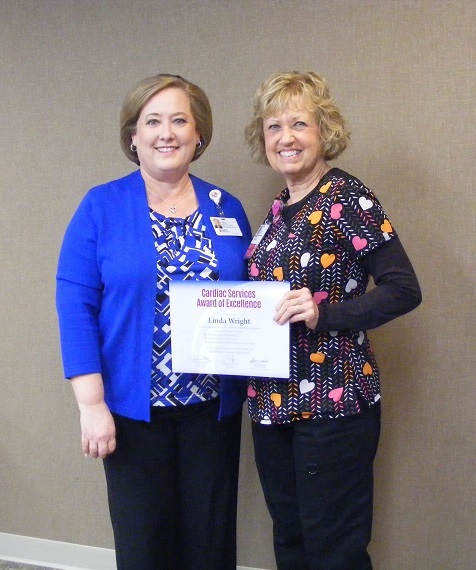 Linda Wright pictured with Fort Sanders Regional Chief Nursing Officer, Lynda Watts. The awards were presented at a recent Cardiac Services Council meeting by Neal Heatherly, chief administrative officer of Parkwest Medical Center and administrative leader for the cardiac service line. The meeting was attended by Covenant Health executives, facility administrators and cardiac service line leaders, and cardiac physicians. The honorees were nominated by their facilities and selected by a committee representing cardiac services throughout the health system. Each honoree received a certificate and a monetary award to be used for clinical continuing education. “It was inspiring just to read the nominations of these employees,” Heatherly said. “They demonstrate our Pledge of Excellence every day through the care they provide to our patients.” The nominations mentioned attributes such as always putting patients first, collaboration, leadership, positive attitudes and willingness to serve as preceptors and teachers.